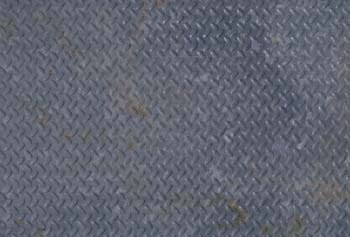 Braddan Structures is widely recognised as an industry leader and innovator within the steel construction field. 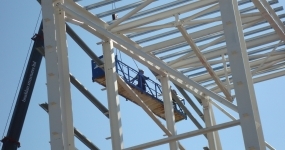 Our steel construction work ranges from complicated glazing roof supports to column and beam office developments, portal frames, pre-cast concrete installations for grain stores, retaining walls, stairs and hollow core flooring. Customer satisfaction, quality, safety, delivery on time and to budget, all part of the excellent service offered by Braddan Structures.... your steel construction partner of choice. 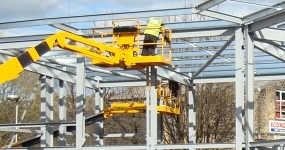 All erectors are CSCS, IPAF and CITB Slinger/Banksmen registered and have carried out a large variety of projects for many of the largest structural steelwork companies in the UK and Ireland. Braddan Structures have their own cranes and are currently in the process of purchasing MEWP’s and telehandlers. We use Easi-Edge off load systems and are currently working on our own off loading design system. Our goal is to provide a safe, efficient, quality service to all our customers across the structural steelwork industry. Braddan identified an opportunity to develop a system that would provide a safe refuge or walkway around the load bed, allowing safe access to the load by site operatives and side access by fork lift trucks. The Braddan SAARS (Safe Access Area and Refuge System) offers a modular, folding system that can attach to the flat bed of a lorry that is easy to use, adaptable to several vehicle types and provides genuine safety benefits. Braddan Structures construction work ranges from complicated glazing roof supports to column and beam office developments, portal frames, pre-cast concrete installations for grain stores, retaining walls, stairs and hollow core flooring. 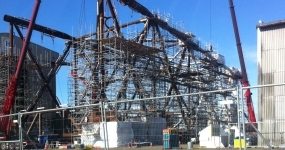 Braddan Structures current clients include Billington Structures Limited, Finley Structures Limited, Hares of Snape Limited, S&A Fabrications Limited, Raisco Limited, DAM Structures Limited and The Rossendale Group, to name a select few. One of the only steel erection firms to be a member of the Guild of Master Craftsmen we have consistently achieved a 100% pass rate within the Committed to CSCS Programme and are members of the Engineering Construction Industry Association (ECIA).